It’s competition time! And for our valued customers, you’re in luck. If you’ve ever embarked on a journey with Party Bus, you will have no doubt snapped a few photos as a reminder of the awesome time you had. It almost seems like a waste not to be able to go back and reminisce. Our customers hire a party bus for all sorts of occasions; a night out with friends, work functions, hen’s night, stag dos – the list goes on. So if you’ve hired one of our Party Buses and you’ve got a great photo to prove it, we want to see it! 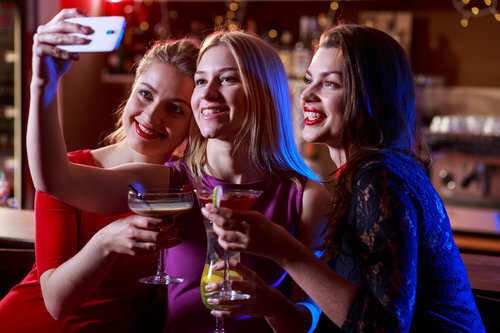 The thing is, we’re currently working on an exciting new website and we’d love to showcase some great real-life shots of our customers enjoying their night out with Party Bus. You will not only gain fame by featuring on our new website, but you will also win two hours FREE on our Viper Lounge Coach – amazing! Our Viper Lounge Coach is luxury at its finest. With so much x-factor, the Viper is like nothing you’ve ever seen before. Oozing sophistication, the Viper is a fully licensed vehicle and has its own bar on board. The luxurious lounge-style seating, three LED TVs and personal host will let you feel like a VIP while cruising around in this glamorous vehicle. Pick up will be in the central Auckland area. The winner will be announced on 31st July. Make sure you’ve liked our page to keep up with other entries! There is still time to become a Party Bus customer! The competition will be drawn on July 31st so there is still plenty of time to become a Party Bus customer, enter your photo and be in to win. It’s easy to enter and you can arrange a night out with Party Bus for you and your mates for as little as $11 per person – now thats’ a great deal! We get so much great feedback from our valued customers. We know it’s an experience anyone would love to embrace. So get your friends together and book a Party Bus today!